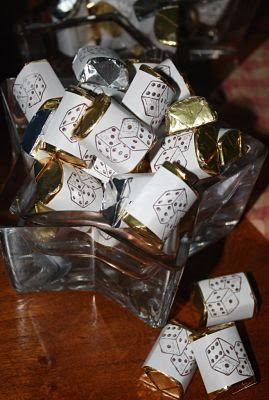 crafty goodies: Bunco " goodies"
I'm in a bunco club and it was my turn host a few weeks ago. These were my table decorations. 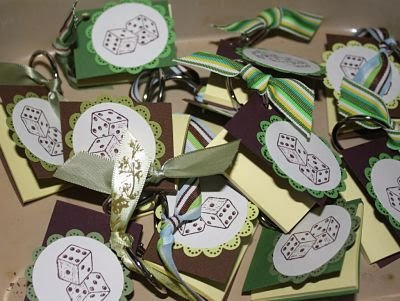 Wrapping the candy with a stamped label is so easy to do and can be done for different celebrations - like a birthday!! 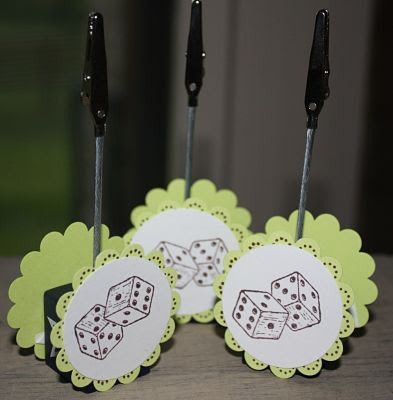 I clipped the table number to these clips for the center of the tables!! This was the "table goody" for the girls. If you are interested in this - email me and I will get you the measurements to you. My motto is easy, simple and cute!!! Thanks for stopping by and have a great day!!!! Adorable Connie! I love these! Such a cute idea. I bet you had a great party! These are so cute!